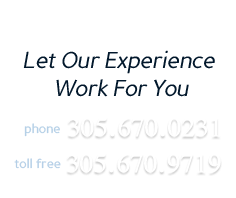 About Us, Miami Personal Injury Attorneys - Stokes & Gonzalez, P.A. Stokes & Gonzalez, P.A. specializes in helping victims injured in personal injury and maritime accidents get just compensation for their injuries. Our attorneys have over 45 years combined experience in Personal Injury and Maritime Injury litigation. Mark L. Stokes and Jacinto J. Gonzalez are both Martindale Hubbel AV rated attorneys who provide aggressive representation in all types of personal injury cases. If you have been injured in an auto accident, motorcycle accident, slip and fall accident, or maritime accident anywhere in the state of Florida, call our firm at 1-877-358-2434 for a free consultation regarding your case. We handle most injury cases on a contingency fee basis, which means we won't charge an attorneys' fee unless you recover money in your case. Contact Stokes & Gonzalez, P.A. today to discuss your case with an experienced Florida Personal Injury Attorney.